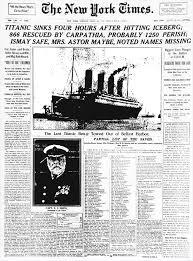 On the morning of April 15th, 1912, 1503 people that were on board the RMS Titanic died. Within an hour, the rescue ship Carpathia finally made it to the site of the disaster and began the task of picking up the 705 survivors that were in the lifeboats. For the next four days, the Carpathia headed for New York, and finally arrived, on April 19th. When the survivors got back to the United States, there was an inquiry waiting that a senator named William Alden Smith organized. A ship had sunk at sea, and Americans had died, and William Alden Smith wanted answers as to exactly what had happened. While the hearings were going on, the survivors stayed at the Jane Street Hotel, which at that time was known as the American Seaman’s Friend Society Sailors’ Home and Institute. 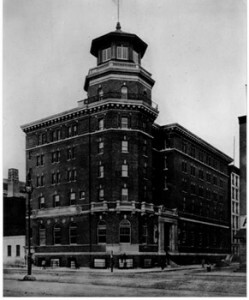 The hotel housed the Titanic survivors that stayed here while Smith’s hearings were going on, and some people who have stayed at the Jane Hotel claim that those crew members and survivors never left. Back in 1908, the Jane Hotel was known as the American Seaman’s Friends Society Sailor’s Home and Institute. The building was designed by William A. Boring, the same architect that had also designed another famous New York City structure, the Ellis Island Immigration Station. Four years later, in 1912, the building was the place where the survivors and surviving crew members of the Titanic stayed. The Jane Hotel was also the place where the crew held a special memorial service to honor all of those that died on that tragic night. While they stayed in the hotel, many of the crew and survivors still waited to see if by some miracle, some others had survived the sinking, but word never came, and even today it is believed that the Titanic crew members are still waiting for news and have taken up residence in the halls of the old hotel. The American Seaman’s Friends Society Sailor’s Home and Institute remained in the building until 1944 when it was replaced by the YMCA. 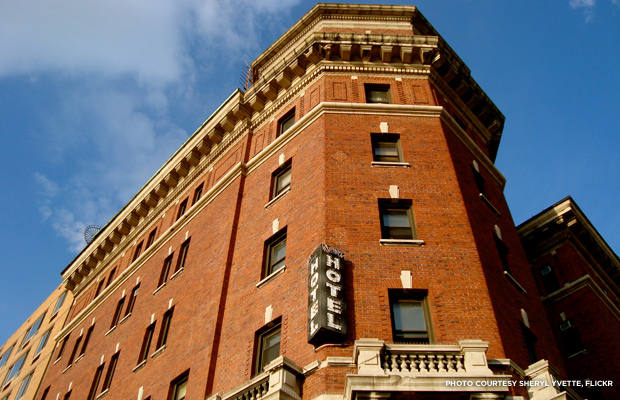 During this time, the YMCA changed the name to the Jane West, and it was considered a hotel for those that were down on their luck. For the 100th anniversary of the building, it was renovated, turned into a luxury hotel, and renamed the Jane. When Carpathia arrived in New York City on Thursday, April 19th, there were people waiting at pier 54. Other than family members of the passengers, there were charity groups that were waiting to help those that had survived the terrible disaster. Some of the charities, such as the Travelers Aid Society, and the Women’s Relief Committee, took survivors to shelters to get them settled in with a warm bed and a somewhat comfortable place to stay. However, what about the crew of the Titanic? The survivors that had not gone to a shelter needed somewhere to go, and was taken to the Jane. Once at the Jane, the crew members were given clothing, food, and a room to stay in. Many of the crew members were in very bad shape, they had survived a terrible ordeal, and many of their colleagues were now gone. Like their fellow survivors, the crew members too had lost everything they had taken with them on the trip, and now were in New York City with nothing more than the clothes on their back. The memorial that was held at the Jane to mourn the loss of the RMS Titanic, her crew, and passengers, did not put the rest the spirits of those very passengers. There are cold spots that appear and disappear periodically throughout the old building. According to paranormal investigators, cold spots are an indication of spirit activity. Many guests of the Jane have reported having problems with the elevator, and claim that sometimes that elevator will go up and down entirely on its own. While walking down the long halls, guests have reported seeing transparent figures, hearing the sound of sobbing, and the pitiful moans of unfathomable grief. The sounds are said to come from the Titanic crew members, who were mourning their lost colleagues, while others who have these sounds claim it is the spirits of the crew that survived and passengers that died who have now come to the Jane for their eternal rest. Are the spirits of Titanic’s crew and passengers haunting this old Greenwich Village hotel? During the month of April only, there are two hours tours offered to many Titanic memorial locations around New York City. For those people that are curious as to whether or not the Jane is haunted, the only want to know for sure is to book a room at the old hotel and find out for themselves. Previous post: Are Titanic Exhibits Around The Country Haunted By The Spirits Of 1500 People? Next post: Are There Bodies at the Titanic Wreck Site?